So much to talk about today. First of all, the new semester is in full swing and I'm now fully immersed in an intro to writing class. This week we have to write a love letter to an object. I'm a decent enough writer in general, but I'm already stuck on this assignment. I'll get there. One interesting thing we're doing this semester is that we have been assigned a speaking partner in another county. This program that I'm doing is though our church university and it extends outside the country. There are groups all over the world doing the same program I am through this college. One of the goals of the international students is to strengthen their English speaking skills, so during this semester of English, we have all been partnered with someone in the program in a different country and we are required to Skype with them for 30 minutes each week so they can practice speaking to someone in English. I have been partnered with a woman named Jessica from Brazil! Our first Skype session is today, so I'm a little nervous about that. Hopefully this will be a fun experience. 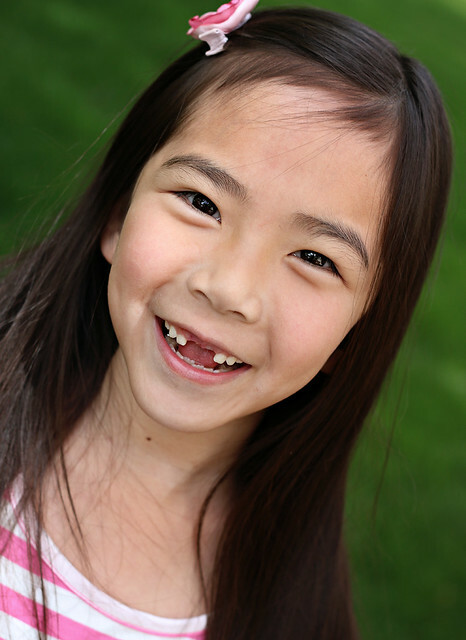 Second story, Clarissa has been working on losing her two top front teeth. The first one came out a couple of weeks ago, but the second one was still hanging on. Then she tripped and hit her mouth on the side of my bed the other day and knocked the remaining tooth sideways a bit, but it still wouldn't come out. So it's been kind of comically hanging in there sideways for the past week and we've really been working on trying to get that thing out. One sideways front tooth is not a good look, lol. Yesterday we were at church and she was in the children's meeting and Shawn and I walked past the room and when one of the leaders saw us she ran out with Clarissa's tooth in a tissue! Apparently it had started to bleed a little so the teacher took a look at it and it was so close to coming out that she just popped it right out! Finally! Clarissa was so thrilled to have it out, she couldn't stop talking about it all day yesterday. It was quite an event. So now she has no front teeth, which I actually think is adorable. Seven year olds are the cutest with all those missing teeth. I feel like it's the last moment of looking like a little kid before their big teeth start coming in and they start looking like big kids. So we did a photo shoot yesterday so that I'll always remember how cute she looked with those missing teeth. She's growing up so fast! with Clarissa being the youngest, I'm very aware that every milestone is the last time. It makes me a little sad! But how cute is she?!! So now onto Josh's big news! He has been working on a documentary for National History Day for most of the last year. He has put an incredible amount of work into it. My brother, who is an awesome musician, wrote an original song for the background, we have a friend with a recording studio who let Josh record all the dialog so it sounds great, he interviewed someone from the state historical society, he has done a massive amount of research and he has just put and incredible amount of work into it. He has worked and reworked it for months. It went to the regional competition last month and came in second. He took the critique he got from the judges and came home and reworked it a bit and last weekend it competed in the state competition and came in first place! He's going to nationals! So here's where the decisions come in. He has had his June trip plans carefully figured out for months. He was supposed to go on an east coast trip with his school for nine days at the first part of June, have a four day wait in DC, which is coincidentally when and where National History Day nationals are, and then he meets up with his Normandy team in DC and flies to France. Well...that has changed. The east coast trip got moved ahead four days. Which means there is no longer a four day wait between the two trips, and which also means that the east coast trip is at the same time at National History Day finals. Crap crap craaaap. So this means that either he is going to have to cancel the east coast trip that he is so excited about, or he's going to have to decline to participate in NHD nationals with the documentary that he has literally spent a year working on. At this point I think he has decided to cancel the east coast trip so he can compete in NHD but it's all still up in the air. He has a few more days to decide, but we're still trying to figure it all out. It's all kind of a mess at this point. We're trying to figure out who is going to go with him, where we're going to stay, etc. We're considering taking a side trip to NYC so that at least he gets to experience part of the east coast trip he's going to miss, but I'm having such a hard time planning a trip to NYC. I'm not sure if it's realistic now with the time and budget we have. I can't really miss school, so that's an issue, NYC is insanely expensive and trying to find a place to stay is complicated, and at this point I just don't know what's going to happen. I'm a little stressed out about it to tell you the truth. What may end up happening is that Shawn and Josh may just go to DC for NHD and then Shawn will leave Josh there to meet his team for France and them come home. Or I may go, or we all may go to NYC or Josh may change his mind and go on the east coast trip...who knows. But we have to figure it out soon. Anyway, in the scheme of stress your kids can give you, I guess I can't really complain about this one. Josh reminds me of that every time his schedule stresses me out. There are worse things in life than having an overachiever teen, I suppose.